More Info Mahon Semi-Curado Price: £7.84 Made by hand on Menorca from a very small producer, this cheese has been rubbed with olive oil and paprika whilst it matures. It is dense and slightly springy in texture. It gives salty, almost bacon-like flavours. Amazing with oloroso sherry! More Info Membrillo Price: £4.48 From quince grown in Catalunya, this membrillo is a traditional accompaniment to hard cheeses. The natural sweetness of the fruit is complimented by a little lemon juice, cinnamon and apple pectin. More Info Mothais Sur Feuille Price: £5.95 Made by Paul Georgelet in the Poitou-Charentes region of Western France. It has delicate wood and earth flavours. Pairs really well with sparkling wines. More Info Old Winchester Price: £6.05 This artisan cheese is made by hand by Paul Thomas on Lyburn Farm just south of Salisbury. It is salty, nutty, brittle and full flavour. It grates beautifully which makes it a good vegetarian alternative to Parmesan. 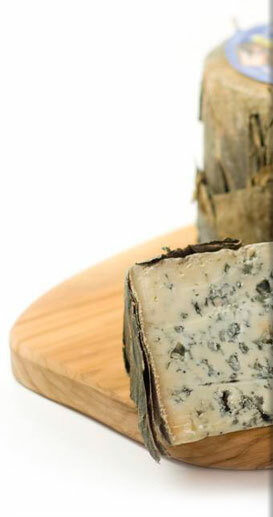 Perroche Price: Perroche, individual goats cheese either plain or rolled in fresh herbs. The flavour is fresh and lemony with a delicate texture. Perfect for a summers afternoon with crackers or bread. More Info Picon-Bejes-Tresviso DOP Price: £8.11 Made on a very small scale in the remote Cantabrian Picos de Europa mountains near Asturias. It has been made in the area since the 13th Century. Aged in limestone caves 3-4 months it has a very powerful flavour. Not for the faint-hearted!